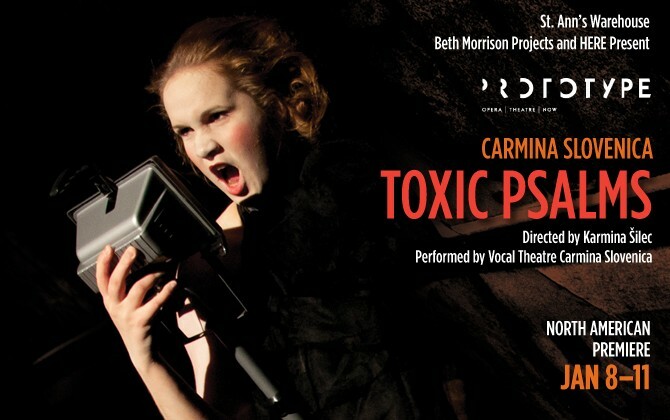 TOXIC PSALMS is a part of the PROTOTYPE Festival, with leadership funding from The Andrew W. Mellon Foundation, with other generous support from The Aaron Copland Fund for Music, Inc., The Alice M. Ditson Fund, Amphion Foundation, The Charles and Cerise Jacobs Fund for New Opera, Francis Goelet Charitable Lead Trusts, Opera America’s New Works Exploration Grant, The Ted Snowdon Foundation, and The Reed Foundation. Additional support is provided by the National Endowment for the Arts and the New York State Council on the Arts, with the support of Governor Andrew Cuomo and the New York State Legislature. PROTOTYPE receives generous corporate support from Edison Properties. TOXIC PSALMS has received funding from the Republic of Slovenia Ministry of Culture and the Trust for Mutual Understanding. 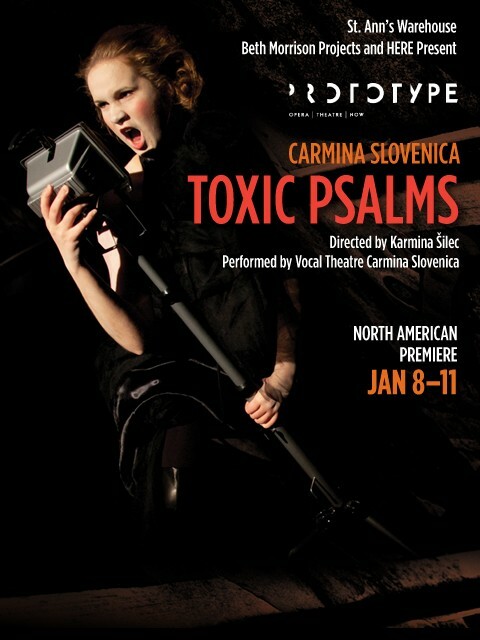 Co-presented by Carmina Slovenica and St. Ann’s Warehouse. Mesmerizing. A phenomenon in itself.